Drive-in/drive-thru pallet racking provides deep-lane, high-density storage and significant space utilization benefits. Depending on the depth (i.e., number of pallets deep stored), drive-in/thru racks can provide up to 80% greater space utilization over selective racks (e.g. storage to aisle ratio). This type of pallet racking solution is ideal for stocking large quantities of like items (e.g., those with the same SKU). 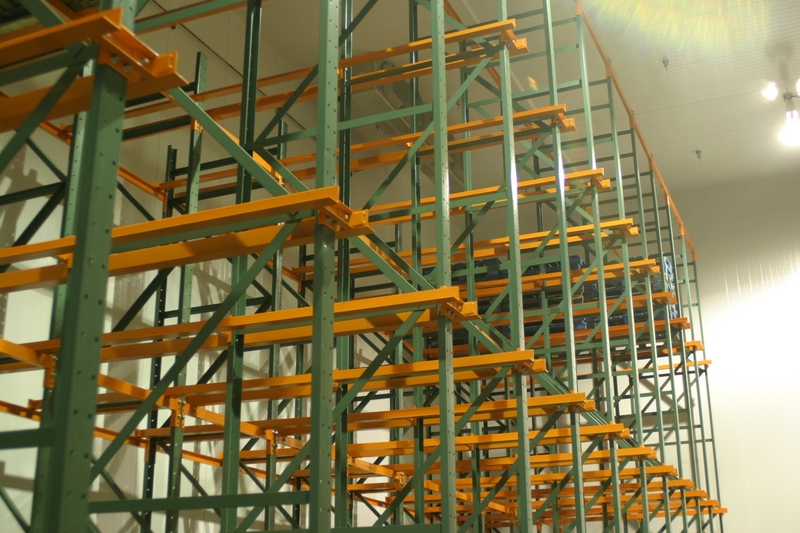 Drive-in pallet racks utilize a last-in/first-out access method. Drive-In/Drive-Thru racks must be engineered correctly to ensure structural integrity, and we provide the expertise to provide safe drive-in/thru systems to safely meet your long term operational needs. There are a wide variety of heights and depths available to meet all of your storage requirements. Call us today at (866) 266-2244 so we can help you select the right pallet rack system for your operation.